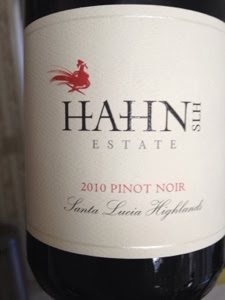 Hahn 2010 SLH Pinot Noir is this week’s WW due to its great taste and easy drinking. A very nice example of a Santa Lucia Highlands Pinot Noir. Bright red fruit dominates the nose and palate, along with the black fruit flavors characteristic of Santa Lucia Highlands Pinot Noir. 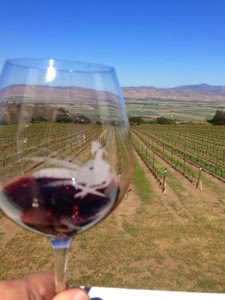 Deep ruby in color the Hahn SLH Estate 2010 Pinot Noir is quite vibrant. Notes of cherry cola, dried herbs and minerals are balanced by cool-climate acidity and velvety tannins. A little time in the glass provides a very easy drinking wine. A solid 6 plus and ***. A great go to for every occasion. Koala paired it with sweet BBQ chicken and was very happy with the choice. Go get one, knock it back and enjoy and tell em Kiwi and Koala sent you!